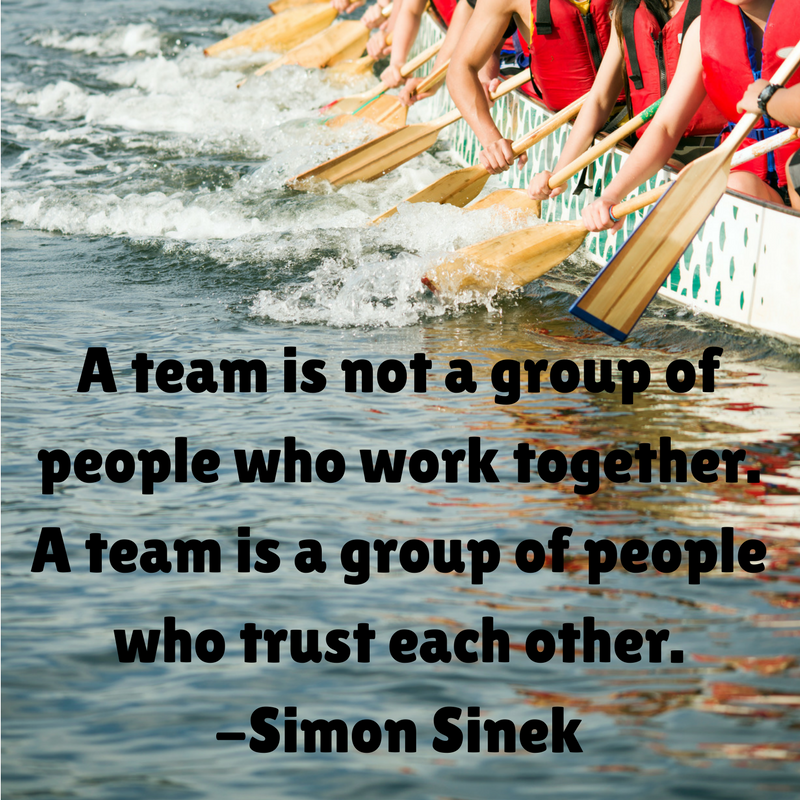 Which got me thinking about teams and how they function well when we are working towards a similar goal. Dragon boat racing has taught me a lot about the need for synchronicity and trust – not just with our paddles, but with our goals as a crew. Being involved in NLS8 and working with a team spread across three states and one territory of Australia is, funnily enough, a similar experience (just with less grunting and more water). My network feels more collegiate, more connected and there’s a feeling “we’re in this together”. Trust becomes vital. In myself and the people in my network, or tribe if you prefer. (Gang is also good, especially if you love The Goonies). Let’s flesh this out a bit. Building meaningful connections with other professionals is fraught with “dangers”. You might not be comfortable putting ourselves out there, maybe you don’t want to do it online. Maybe we have imposter syndrome and worry that someone will figure that out and expose us. Perhaps you just don’t know where to start. Me? I was a healthy anxious mixture of all of these. So, you might be thinking any or all of those reasons. Or you might be ready and willing to dive in. I know I was and what got me over the line was trust. Then, it was time to develop trust in that network of people. Being comfortable with putting yourself out there (IRL and online) and admitting you don’t understand, need clarification, or just someone to talk through where you are stuck – study, work, whatever, involves TRUST. And it takes time. Personally I think that if we treat our network/tribe/gang like a team, and we learn to trust those people and trust ourselves, trust that we have can add value and have something to say, regardless of where we are in our careers, we can do so much. For me, when I’m working with people who value the same things as me (integrity, honesty, fairness, cake), I’m more inclined to be open about my own barriers and struggles, and also happier to say “hey I did a cool thing, take a look”. Trust! Look, I’m not saying to lay your life bare in front of your colleagues. Just to make space for a little trust, to wave the pom poms for your team and let them wave and cartwheel for you. And there’s always time for a celebratory cake.